After a prolonged disruption in the natural structure of the universe, order has finally been restored: The guy in the office who was always watching the World Cup is back to having absolutely nothing. There was a brief period of several weeks during which he was a god of the workplace: fielding questions about the structure of the tournament, regaling coworkers with stories from previous World Cups, and eliciting intrigued glances every time he exclaimed at something happening in the game he was watching on his laptop right there at his desk. But all that rises must one day fall, and now instead of spending his lunch breaks explaining what “in the box” means to a rapt group of coworkers hungry for his esoteric knowledge of “The Beautiful Game,” he has returned to the bowels of corporate anonymity from whence he came. No longer will he be showered in compliments from mere acquaintances when he shows up to work in his favorite team’s jersey, his soccer-themed garments reduced to obsolete emblems of a sporting event already gone by, already forgotten. 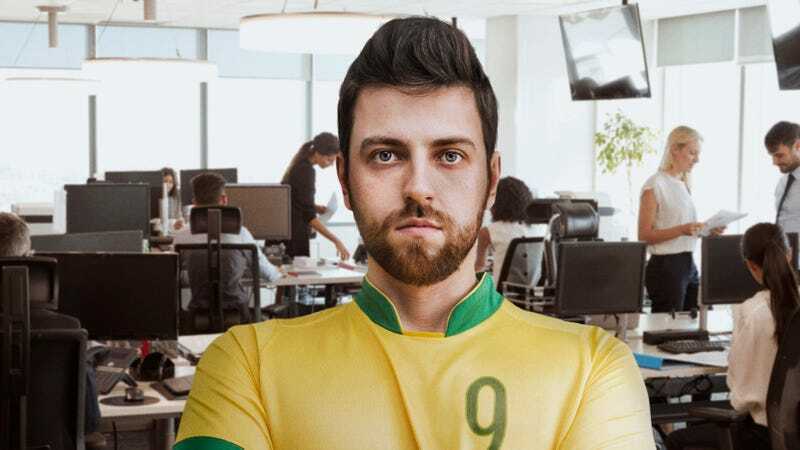 The universe has found its natural rhythm yet again, and now the guy who was obsessed with the World Cup for a few weeks is just another anonymous office worker who no one really has a reason to talk to. Unto dust he has returned, as one day all of us will. What Makes Messi So Good?